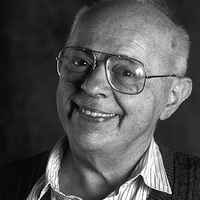 Stanisław Lem (staˈɲiswaf lɛm) was a Polish science fiction, philosophical and satirical writer of Jewish descent. His books have been translated into 41 languages and have sold over 27 million copies. He is perhaps best known as the author of Solaris, which has twice been made into a feature film. In 1976, Theodore Sturgeon claimed that Lem was the most widely read science-fiction writer in the world. His works explore philosophical themes; speculation on technology, the nature of intelligence, the impossibility of mutual communication and understanding, despair about human limitations and humankind's place in the universe. They are sometimes presented as fiction, but others are in the form of essays or philosophical books. Translations of Stanisław Lem (staˈɲiswaf lɛm) was a Polish science fiction, philosophical and satirical writer of Jewish descent. His books have been translated into 41 languages and have sold over 27 million copies. He is perhaps best known as the author of Solaris, which has twice been made into a feature film. In 1976, Theodore Sturgeon claimed that Lem was the most widely read science-fiction writer in the world. His works explore philosophical themes; speculation on technology, the nature of intelligence, the impossibility of mutual communication and understanding, despair about human limitations and humankind's place in the universe. They are sometimes presented as fiction, but others are in the form of essays or philosophical books. Translations of his works are difficult and multiple translated versions of his works exist. Lem became truly productive after 1956, when the de-Stalinization period led to the "Polish October", when Poland experienced an increase in freedom of speech. Between 1956 and 1968, Lem authored 17 books. His works were widely translated abroad (although mostly in the Eastern Bloc countries). In 1957 he published his first non-fiction, philosophical book, Dialogi (Dialogues), one of his two most famous philosophical texts along with Summa Technologiae (1964). The Summa is notable for being a unique analysis of prospective social, cybernetic, and biological advances. In this work, Lem discusses philosophical implications of technologies that were completely in the realm of science fiction then, but are gaining importance today—like, for instance, virtual reality and nanotechnology. Over the next few decades, he published many books, both science fiction and philosophical/futurological, although from the 1980s onwards he tended to concentrate on philosophical texts and essays. He gained international fame for The Cyberiad, a series of humorous short stories from a mechanical universe ruled by robots, first published in English in 1974. His best-known novels include Solaris (1961), His Master's Voice (Głos pana, 1968), and the late Fiasco (Fiasko, 1987), expressing most strongly his major theme of the futility of mankind's attempts to comprehend the truly alien. Solaris was made into a film in 1972 by Russian director Andrei Tarkovsky and won a Special Jury Prize at the Cannes Film Festival in 1972; in 2002, Steven Soderbergh directed a Hollywood remake starring George Clooney. Which Classic SF/F Novel do you want to discuss in the group in December?